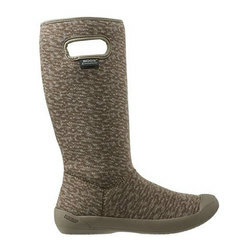 Bogs is on a mission and nothing can stand in their way. 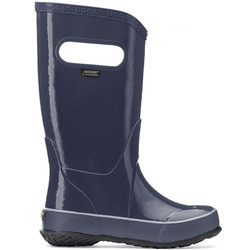 They are dialed in on their quest to create the world’s most comfortable rain & snow boots for you to use in the most uncomfortable conditions. Having a solid foundation is critical and that is why Bogs puts feet first. By starting at the bottom, they are setting you up for success so that you can stay on top of your game. 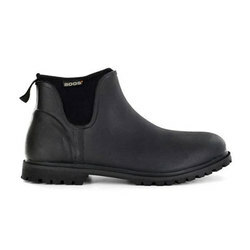 Comfort has never been an option at Bogs, because they consider it a requirement. The other necessity is toughness. That is why they build intense durability into every pair of shoes so that you can overcome obstacles instead of avoiding them. Bogs adapts and pushes forward at ever turn so that whatever you do and wherever you find yourself, you have the power to work hard and play harder. 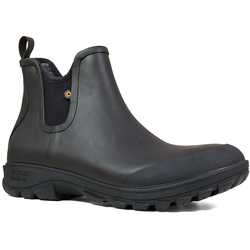 Models like the Bogs Ultra Mid Boot are a staple to their lineup and have established a following that heralds them as one of the most versatile boots out there. 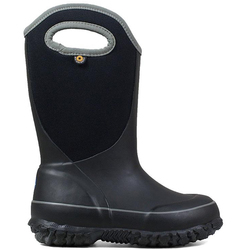 Just grab the handles on either side, pull them on and off you go in a tough, waterproof boot that provides plenty of traction. The internal midsole comes loaded with a rubber sponge that sets you up with bonus cushioning and warmth so that there isn’t any task you can’t handle with ease. 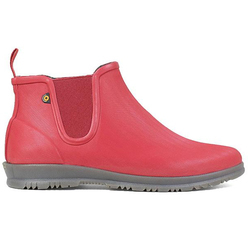 Bogs Women’s Classic Mid Handle Boots are packed with performance too, and even feature an anti-microbial insole that wards off unpleasant odors. 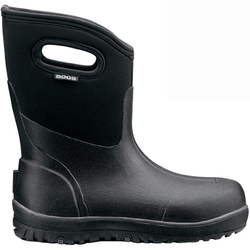 No matter the challenge, Bogs boots are tough enough to take it all on with full force. 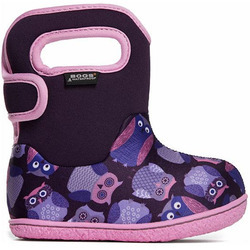 Bogs kids footwear has all the same features that make the originals great. 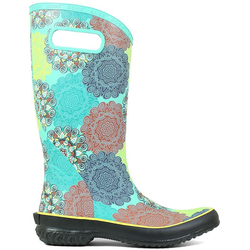 Not only are they completely waterproof for keeping those feet dry during all kinds of adventures, but many styles also come decked out with fun colors that the little ones are bound to love. 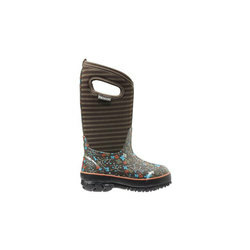 Give kids the protection they need with Bogs footwear so that no puddle may go unsplashed. Putting your feet first, Bogs never fails to produce high quality footwear so that you can take on any challenge by jumping in with both feet. 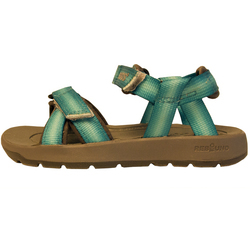 Life is tough, but finding great footwear shouldn’t have to be. Pull on your Bogs and get after it.